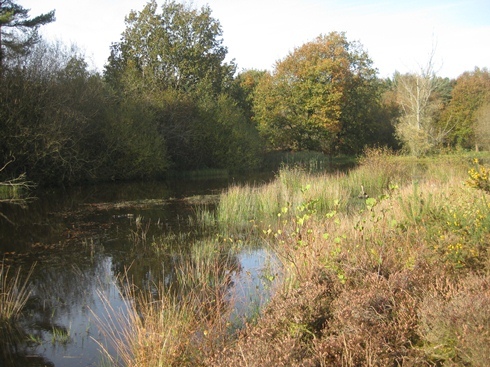 Another beautiful day at Wigpool and we continued to remove the evasive birch. 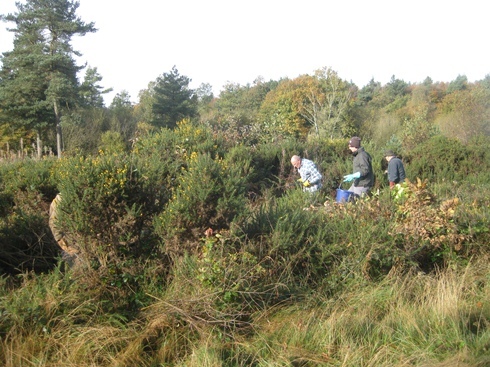 Over the years we have managed to control the spread of young birch across this area of heathland by cutting, burning off the cuttings and daubing the stumps with an effective herbicide. 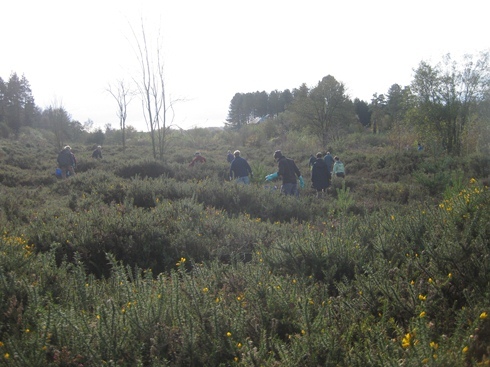 This time we went slowly through the mass of gorse to take out the individual birch growth with a member following behind to daub the stump with herbicide. Following the cutters with a bucket of herbicide which is proving to be an effective method of controlling the small tree growth. The lake looks lovely now and a few of us spent some time watching a Kingfisher darting from the low branches into the water for fish. 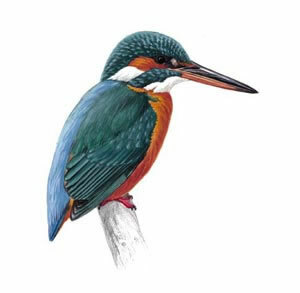 It is likely that this Kingfisher is a young bird as the parent birds would have expelled it from their terrritory by now so it would have found this lake for its own use. Towards the end of the day the area is well cleared.